Cooper Means uses a scythe this fall to harvest grain grown in a trial at land he leases in Old Snowmass. 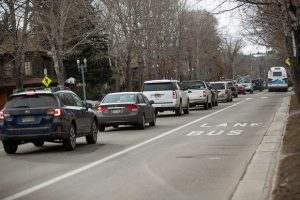 When: Tuesday, seatings at 5, 6 and 7 p.m.
An annual feast in Aspen on Tuesday will feature an unprecedented amount of food grown and raised in the Roaring Fork Valley, according to organizers. The Farm To Table Community Meal presented by the Farm Collaborative, formerly known as Aspen TREE, will feature bounty that would be suspected — potatoes, onions, squash and other storage crops that are in fairly decent supply. 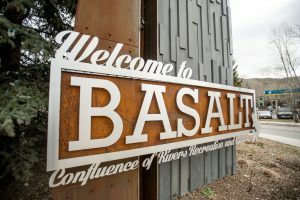 But it also will feature loaves of bread made from grains grown at the Old Snowmass open space for the first time this summer. “We make an effort to set the menu to what we can get,” said Cooper Means, agricultural director for the Farm Collaborative. He was in charge of working with the valley’s farmers and ranchers to procure food for the feast. “It’s one of the most exciting days of my job,” he said. He ended up getting 1,700 pounds of vegetables and greens from Erin’s Acres, Roaring Gardens, Two Roots, Rock Bottom Ranch, Sustainable Settings and Wild Mountain Seeds — all located in the middle Roaring Fork Valley. The meat is coming from Mountain Primal Meats in Emma. 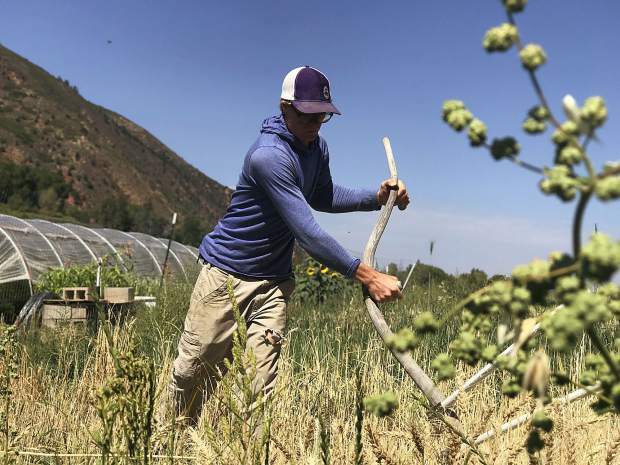 Farm Collaborative’s goal this year was to purchase at least 75 percent of the ingredients for the community meal from farmers in the Roaring Fork Valley. 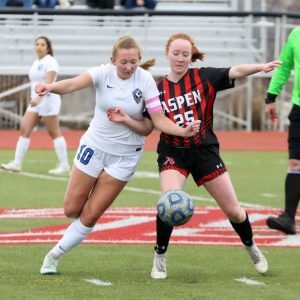 The remainder comes from the region — the North Fork Valley around Paonia and the Lower Colorado River Valley west of Glenwood Springs. The local food will feed an estimated 1,500 attendees. Local chefs are donating their time and expertise to prepare the meal, with the help of volunteers who assist in everything from prepping to serving to cleanup. The Farm To Table Community Meal will be served at the Hotel Jerome, and is free and open to all. There are seatings at 5, 6 and 7 p.m., though space is filling fast (reservations are required). Farm Collaborative started the meal 10 years ago to celebrate the growing local food movement. The feast not only provides fresh food that tastes good, it builds awareness and support for local farmers, according to Eden Vardy, the collaborative’s executive director. “We’re grounding ourselves in our home,” he said. 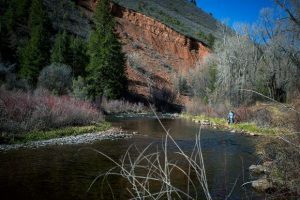 The Farm Collaborative has a long-term lease on 14 acres from the city of Aspen at Cozy Point Ranch, at the intersection of Highway 82 and Brush Creek Road. Its mission is to expand its farming and ranching operations, and educate people on what’s being undertaken and what’s possible. It also assists the broader local food movement in multiple ways, such as helping set up a tool library so that small farmers don’t have to scrap together funds for machinery that is sparingly used. Vardy said the benefits of the local food movement are immense, from keeping dollars in the valley to carbon sequestration. “Our local decisions and actions have global repercussions,” he said. The meal also will mark the 10th anniversary of the founding of Aspen TREE, now the Farm Collaborative. The goal always has been to showcase local foods at the meal. “The beautiful thing is we’ve had this dramatic increase from within our valley,” Vardy said. That’s only been accomplished by “extremely difficult” work by small farmers and ranchers, he added. Means and a handful of his friends were reminded this fall just how hard farming is when they harvested grain grown at Pitkin County open space ground he leases in Old Snowmass in a trial to find out what varieties can handle this environment. They used ancient scythes for the process. Mountain Oven in Paonia will mill the grain and prepare the bread. The community meal served 150 people in its first year. Now the number served has grown tenfold, including volunteers. This year’s event requires about 250 volunteers. To learn more about volunteer opportunities and sign up for a shift, go to http://www.thefarmcollaborative.org.